The MacMillan foods fundraiser is due today. Please submit your forms asap if you have not already done so. Pick up of the products will be June 10 at the Sports Fields. Orders for Little Caesars Pizza kits are due June 5. Pickup of the the boxes will be June 26 at the fields. Please let us know if you would like an order form. 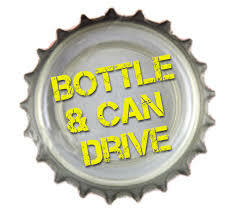 A bottle drive is planned for May 30. Details will be available soon but please save those empties.